Malala Yousefzai is perhaps one of the most inspirational figures of the decade. The girl who was shot in the head by the Taliban for daring to pursue an education, and went on to win the Nobel Peace Prize for her work on behalf of girls and women everywhere, remains a compelling and magnetic figure. She is a true hero, a symbol of peaceful resistance against tyranny who has been an inspiration to millions of people around the world. It's a shame, then, that Davis Guggenheim's bland documentary celebrating her feels like such a lifeless and obligatory affair. Guggenheim, who is best known for directing Al Gore's An Inconvenient Truth (for which he won an Oscar), works best when allows his subjects just to be themselves. Gore showed a passion and a charisma in An Inconvenient Truth that somehow eluded him during the presidential election in 2000. In He Named Me Malala, the girl who has become a modern day saint gets to be just a normal girl, giggling over girlhood crushes on the internet, complaining about homework, teasing her brothers. That's the film's real charm, I think, is that takes an internationally lionized figure and humanizes, hammering home the idea of a normal girl being made great by being thrust into extraordinary circumstances. William Shakespeare once said "Some are born great, some achieve greatness, and others have greatness thrust upon them." Malala is clearly the latter, a girl who just wanted to go to school in a place where it is forbidden for girls to do so, and she was shot for her efforts. Yet like a phoenix from the ashes, Malala arose to fight back against oppression. Guggenheim tries desperately to paint her as the former - one who was born great. 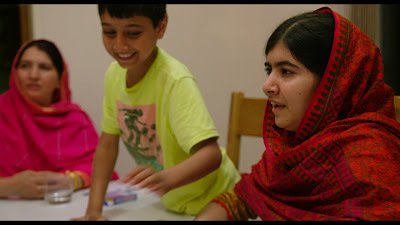 And that may very well be true, Malala is clearly an extraordinary human being. But the film spends so much time trying to connect the modern day Malala to the Malala of Afghan legend, that it almost misses the point of what makes her so extraordinary to begin with. It is her very ordinariness that makes her so incredible. 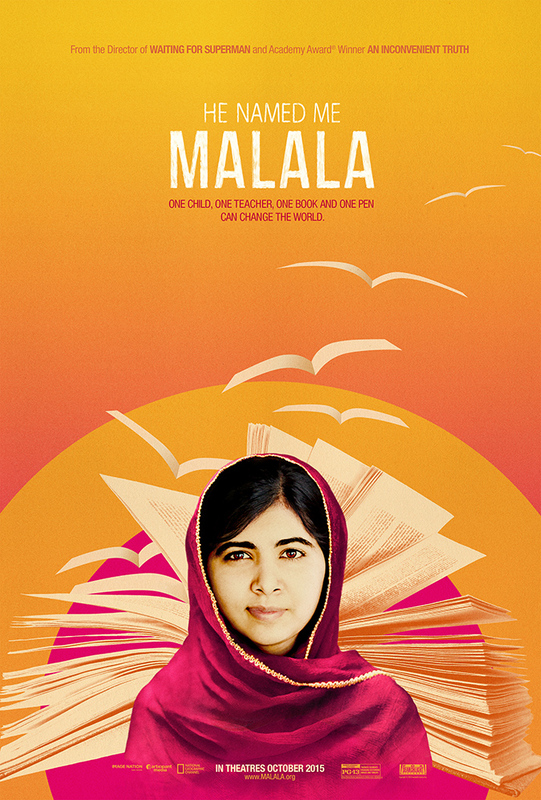 When Guggenheim gets out of the way and lets Malala be Malala, the film soars. Yet when he steps in her way, trying to hammer home points she has already so eloquently made, the film becomes maudlin, and routine, going through the sentimental, hagiographic motions instead of creating an interesting portrait of one of the most fascinating and inspirational figures of the 21st century. 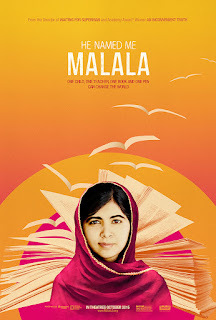 Unfortunately, animated flourishes can't really cover up the fact that the film feels more like an extended advertisement for Malala the Brand rather than Malala the Person. Personally, I could sit and listen to Malala talk for hours. I think she's an incredible, beautiful spirit. Her capacity to forgive, to fight for what is right, and above all, to learn, is truly inspirational. That's why it's so disappointing to see her saddled with such a perfunctory, trite, and gushing tribute that barely scratches the surface of this remarkable woman. HE NAMED ME MALALA | Directed by Davis Guggenheim | Rated PG-13 for thematic elements involving disturbing images and threats | Now playing in select theaters.